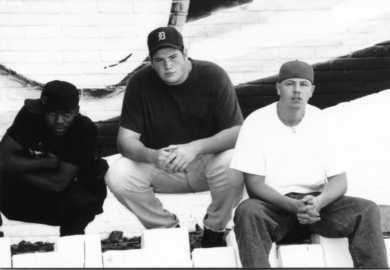 Together, the original House of Krazees put out all the several albums except for "The Night They Kame Home" which came out later with a new member [Skrapz] and without Jamie and Paul. All of the albums are in the Discography section including solos. 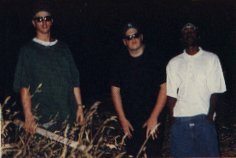 The break-up of the original HOK resulted in Jamie and Paul going to Psychopathic Records with ICP, leaving R.O.C., and they created their new group called Twiztid. Right after the break up, R.O.C. began another project, The Howse, with some friends and they released an album. Check The Howse section for more info. Also, Mr. Bones worked on some solo works of his own and you can find out about these albums in the Discography section. After SOL [formerly R.O.C.] and Skrapz released "The Night They Kame Home" under the name House of Krazees, they moved on to create their own label, Virus Independent and began releases albums under the name Halfbreed. 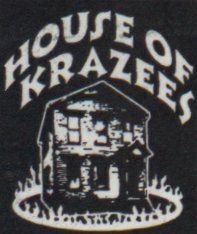 Wanna Read An E-Mail From Jamie Madrox Himself About The Break Up of The Original House of Krazees? Click Here. Wanna Find Out More About The Albums Released By House of Krazees? Click Here.